Merger and acquisition activity in the semiconductor industry has accelerated over the last couple of years, and is playing into the hands of counterfeiters. That is the view of industry specialist Peter Marston of Rochester Electronics, who told the annual Anti-Counterfeiting Forum (ACF) last month that M&A is still running at a high level. It's being fuelled by inexpensive capital and big cash reserves at some of the larger companies, as well as difficulties for smaller companies to compete – given that a new wafer fabrication facility for the latest technologies costs $1bn-plus to set up. This M&A is introducing a whole new set of problems. When it occurs, manufacturers take the opportunity to slim down product ranges, make people redundant and close facilities, releasing manufacturing equipment that can be re-purposed for illicit activities. 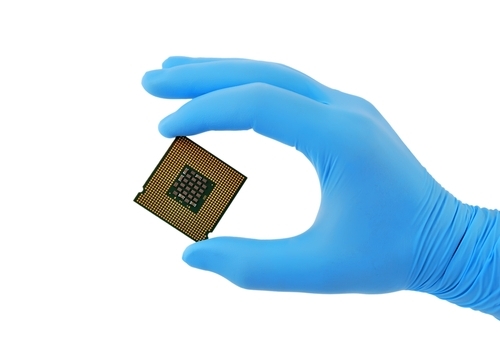 Most of the counterfeited parts in the semiconductor sector are obsolete parts, so the attrition in product lines not only releases surplus inventory into the supply chain but also adds to the product-selling opportunities for criminals. And it's not a big stretch to imagine a recently-sacked employee – with knowledge about how products are manufactured - turning to illicit production to make money. "Semiconductor original component manufacturer (OCM) consolidation is massive and is already impacting product availability," according to Marston. And what is also clear is that counterfeiters are getting smarter. "Fake parts can now pass visual inspection and nominal testing conditions," he continued, and that increase in sophistication is raising the risks of fakes getting into end products. That can lead to equipment failure and damage to a brand's reputation, as well as health and safety issues for customers. For instance, there are recorded cases of fatalities being caused by counterfeit components getting into equipment, including chargers that have caused electrocution and cardiac pacemakers, Marston told delegates at the ACF. Furthermore, the growth in connected devices and the Internet of Things (IoT) means that in the future there will be even more opportunities for cybercrime, for example by loading spyware and Trojans into chips used in our 'smart' devices. "With 10m-plus functional elements on a chip…it is possible to include spyware that you won't know about [and] none of the testing procedures used at the moment will identify a chip with a Trojan hidden within it," said Marston, adding that this is a massive concern for semiconductor used in military equipment. The semiconductor industry itself contributes to the counterfeiting threat by increasingly outsourcing production to subcontractors, not having adequate controls on offshore chip foundries and assembly plants, and failing to keep tabs on scrap material effectively. Electronic waste recycling is also a problem, with an estimated 250,000 people in China working specifically on recycling material from defunct electronic goods. That material can sometimes be badged up as new and resold in the marketplace. Peaks and troughs in supply are also a big factor in driving counterfeiting, as when lead times go beyond around three months electronic goods manufacturers start to scour the marketplace to find parts, and counterfeiters can react quickly to meet that demand. So what can the industry do to fight back? Raising awareness through organisations such as the European Semiconductor Industry Association (ESIA) is one approach, as is training customs officers how to recognise falsified parts. Blocking the activity of counterfeiters online is another important but mammoth task, with one semiconductor company taking down 45,000 websites in a single year during a clampdown on dubious sellers. And of course, often new websites quickly spring up to replace those taken out of commission. "The best protection against counterfeiting is to ensure all product is genuine by buying direct from original manufacturers and authorised sources," said Marston.